Click the button below to add the RHS Rose & Violet Fondant Creams to your wish list. 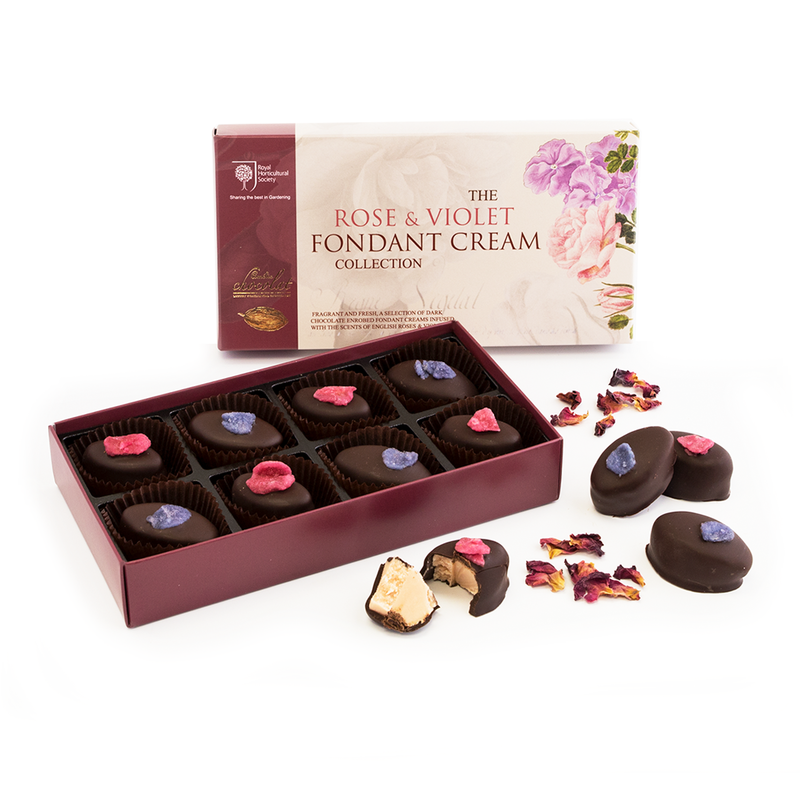 This superb selection of traditional Rose & Violet Fondant Creams has been specially created to compliment our stunning RHS Chocolates by Nature range. Fragrant and fresh, soft smooth fondants are infused with the beautiful scents of English country roses & violets. Made with the finest ingredients and enrobed with dark Callebaut chocolate, these exquisite chocolates, decorated with crystallised petals, make a gift of pure luxury. Finished with your personalised message card, and presented in a classic gift box designed using exclusive artwork from the world renowned RHS Lindley Library artwork collection. For every product sold, a contribution is made to the RHS, the UK's leading gardening charity.